Our mission is for people to find hope and healing in Jesus so they can help others find the same. We are 1 mile south of Route 30 on Roosevelt Ave in the Agape Professional Center Building with the digital sign out front. We are one of two Churches meeting in this building. The other is Green Pasture Church. Facing the front of the building we are the entrance on the right. Our sign is over the door and parking is just across the street or you may park out back and follow our signs. Before our Sunday service begins we do a breakfast together at 10am. The food is provided by our regular attenders. Come hungry, there are eggs, sausage, cakes, bagels, etc. As a first time guest there is no expectation for you to bring anything to participate. This time is for relationships to be built and people to use their gifts to encourage and help each other. Service begins at 10:30 and Come dressed how you like. Please be covered but beyond that come as you are. We aren't expecting anyone to come and try to be something they are not. As you come in, if you have children you will be able to check them in. We take your children's security seriously. Then come and joins us for what we hope will be a meaningful and life changing experience. What does "Healing Families, Changing Lives" mean to us? 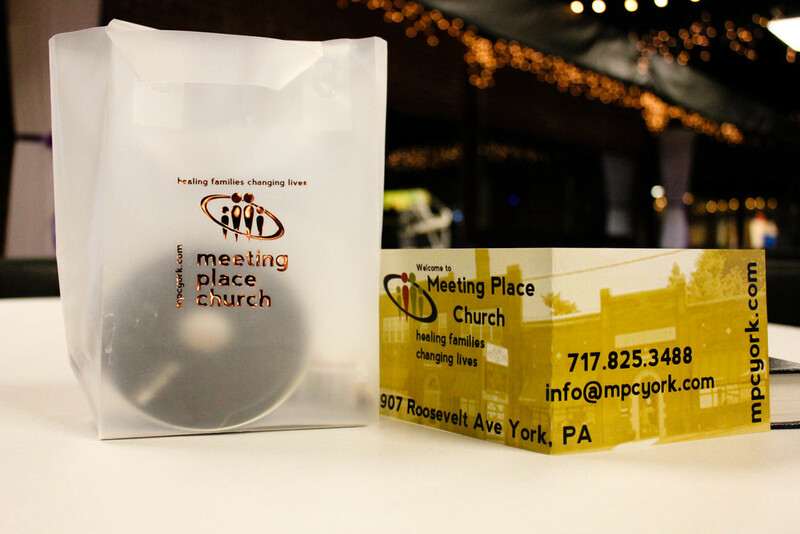 Meeting Place Church exists to accomplish the vision God has given us for York County. We aim to create a place where individuals, marriages and families can heal, find love and acceptance and in turn share that with others. We see these four values as top importance in accomplishing this. We accomplish these by having a warm inviting Sunday morning service that puts the focus on relationships with a shared breakfast. Through classes & discipleship that is based on interaction and encourages people to ask questions in a safe environment. Through our counseling "Tree of Life" and through helping people see themselves as leaders to influence others for God. Call 717.825.3488 or email info@mpcyork.com with any more questions you may have.